My mother discovered this recipe a few weeks ago, and ever since, we’ve made it at least once a week. 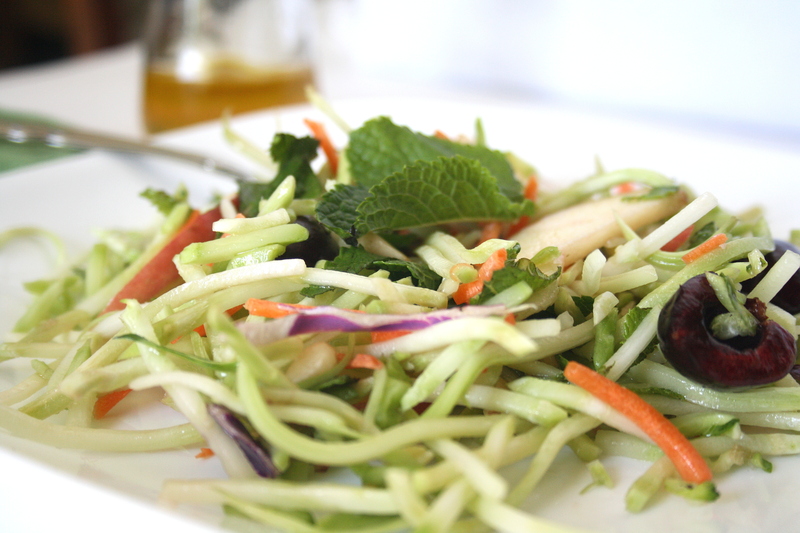 It’s the perfect summertime dish, either as a main for lunch or a fabulous side for dinner. The freshness of the mint and the crisp bites of apple perfectly complement the sweetness of the cherries and crunch of pine nuts. 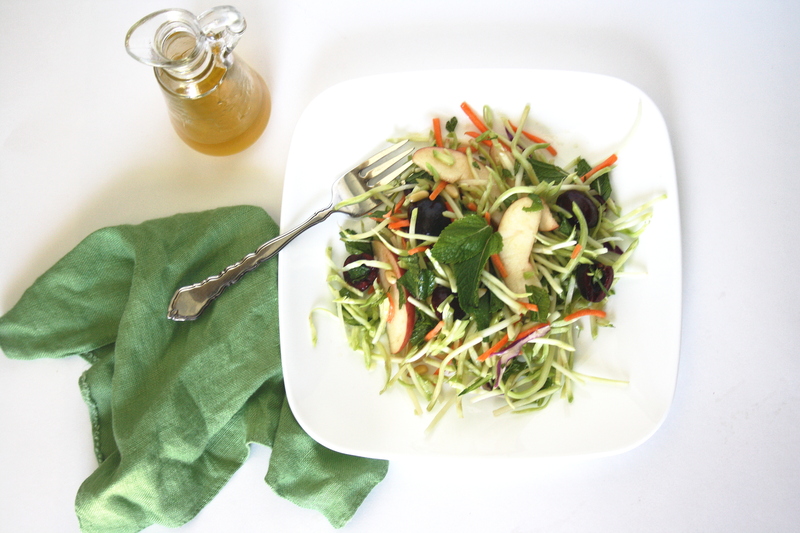 Substitute agave for the honey if you’d like to make this recipe vegan! Ermagerd, a collage of ingredients! Fancy. 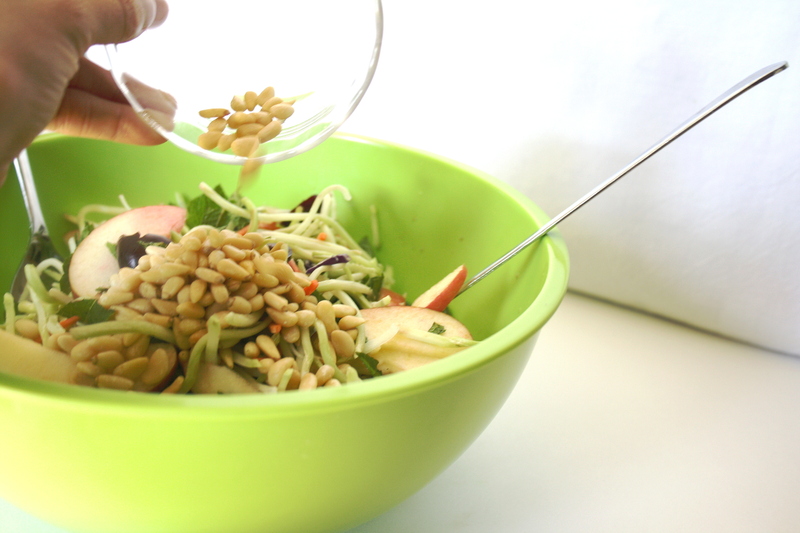 Combine the fruits, veggies, mint, and nuts into a large bowl. In a small bowl, whisk together oil, vinegar, honey, salt, and pepper. Pour over the salad and toss. This usually lasts a few days in the fridge, as long as it’s sealed. Hope you love it as much as I do! If not, I will totally eat yours. *If you don’t have a cherry pitter, I’d recommend using dried cherries. My hands looked like they went through slaughter after I was done. If, bless your heart, you’re still set on having fresh cherries, here’s an excellent tutorial on how to pit them.